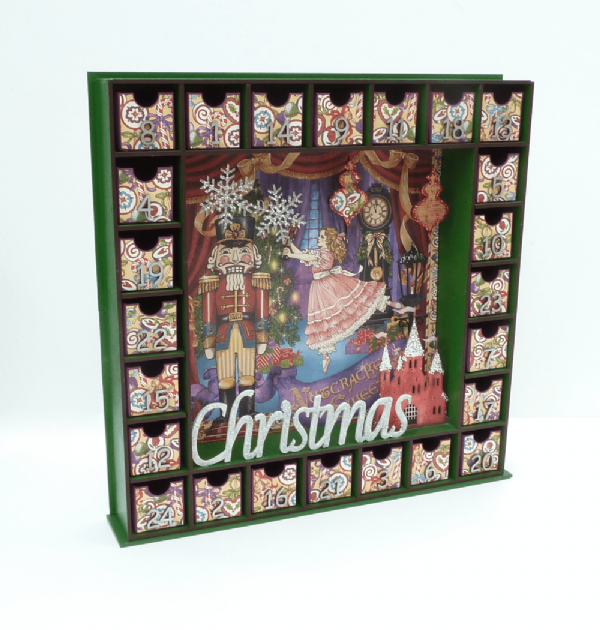 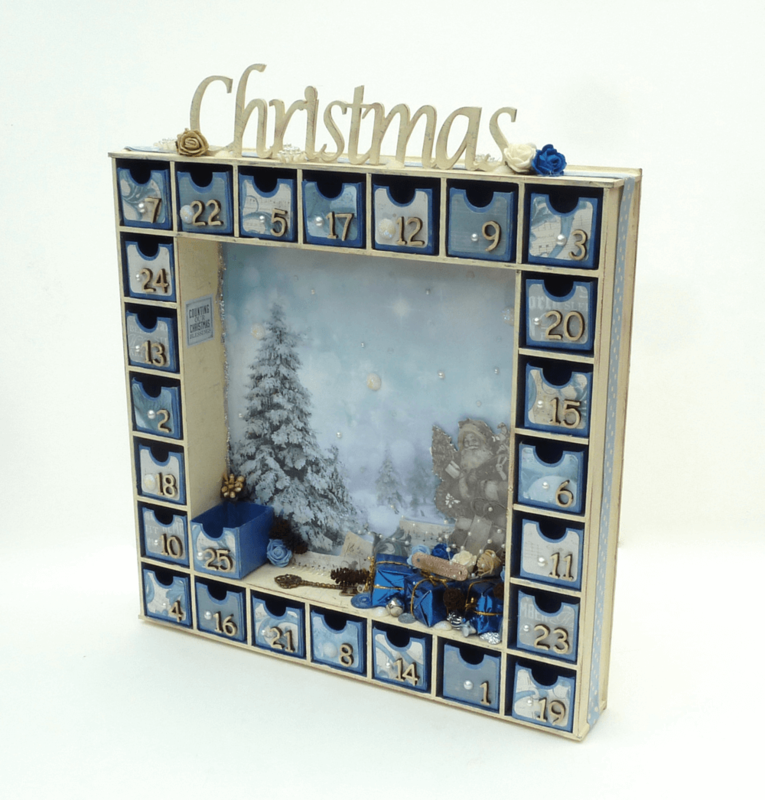 Made from 3mm Mdf our Square Advent Calendar is fun to decorate in so many different ways. 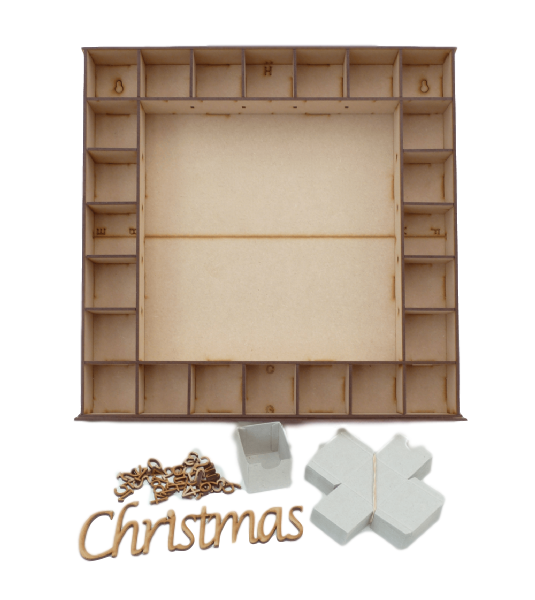 Comes complete with 25 precut and creased 1mm thick greyboard boxes. 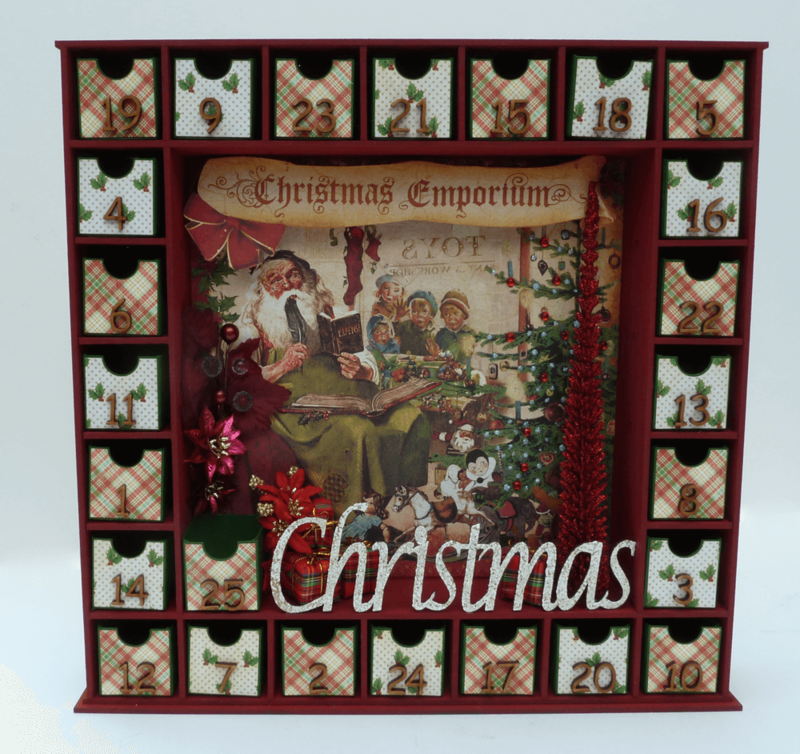 Mdf numbers 1 - 25, the word 'Christmas' and a little template to aid cutting papers to fit the front of the boxes. 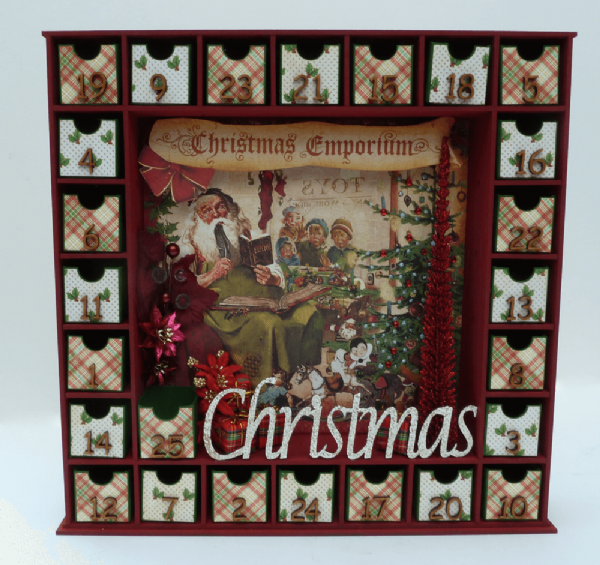 Can be free standing or mounted on the wall.